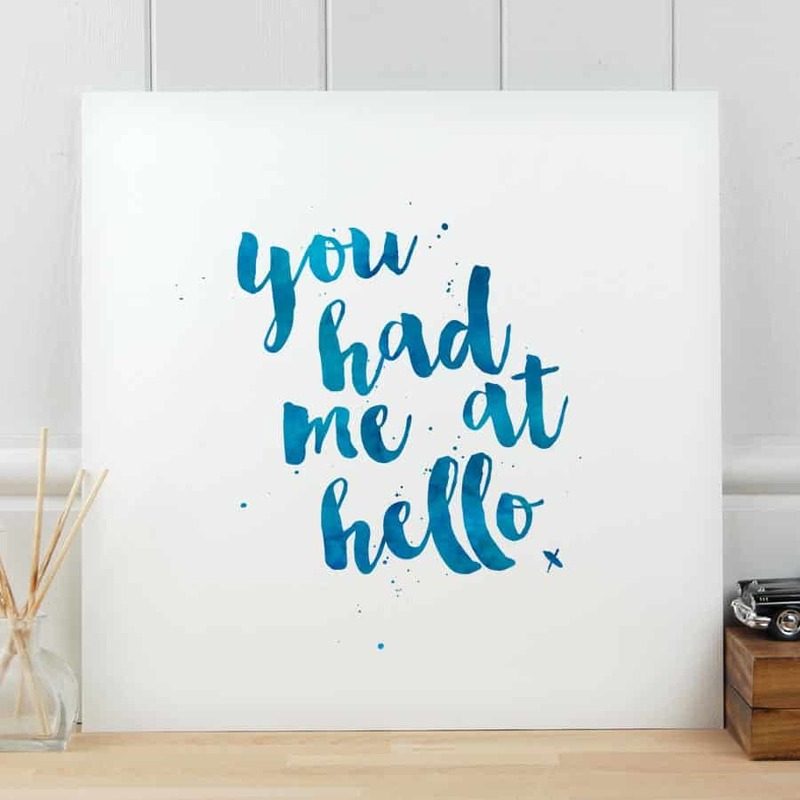 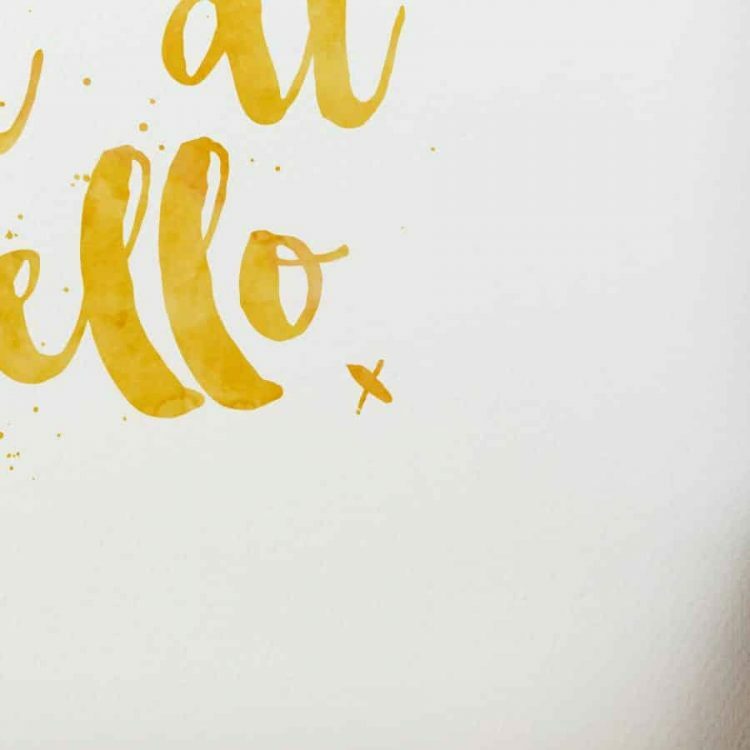 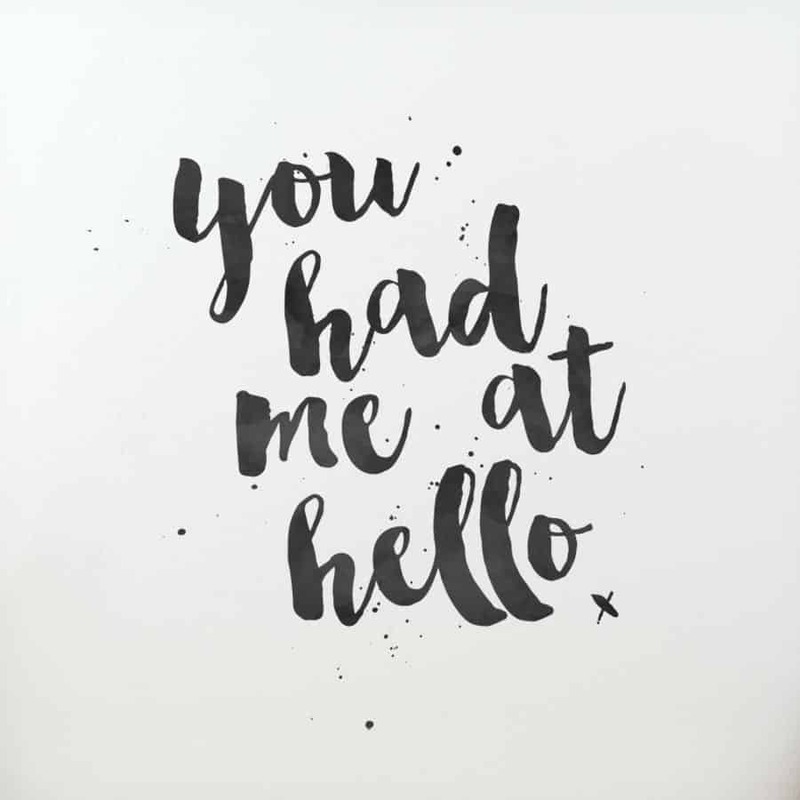 Wonderful “You had me at hello” print produced in a handbrushed font and different coloured watercolour ink effects. Giclee print on 300gm acid free off-white Artists watercolour paper and comes with an off-white mount. Frame also available (+€25). Add wedding date or personal message to the bottom of the print to make it extra special.